Delivery was just as expected. The cone shaped flower basket was high quality as well. I am very pleased with my purchase. Although it is still too cold to be putting this conical basket out, I already see that it is of superb construction, and will be well suited for the plants I will be planting in it. The cone baskets are perfect for Mandeville sensitive roots. A beautiful display. Very nice quality and look. Will transform the front porch this next season. 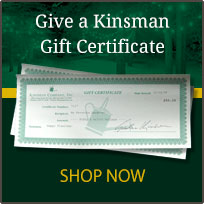 Have been using products from Kinsman Company for over twenty years. They have no equal for quality and durability. 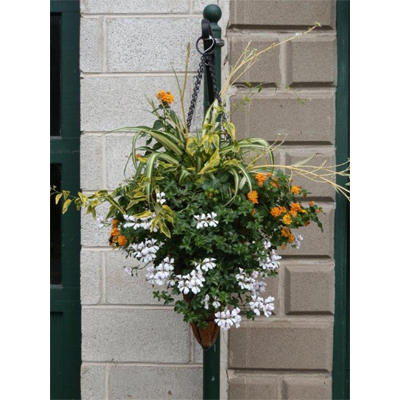 I am still using hanging baskets that are twenty years old having only to purchase new liners. Worth every dollar spent.